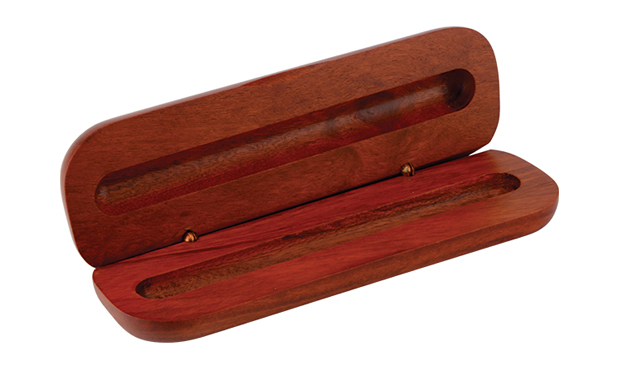 Pen box made entirely out of rosewood. Sculpted to hold in that special pen. Price includes plate with inscription. Pen not included.